Despite the ‘once in a generation’ blizzard dumping eighteen inches of snow, closing many roads and making for whiteout conditions most of the day, the Cub Scouts from Lake Minnetonka District participated in the District Pinewood Derby Finals at Wayzata Community Church in Wayzata, hosted by Pack 283 from Wayzata. Over 250 pinewood derby enthusiasts turned out for this 4 hour event! This event was open to any Cub Scout wanting to race his car against the fastest cars in the district. Packs were ALSO encouraged to enter their top (3) three finishers from each of their cub ranks: Webelos II, Webelos I, Bear, Wolf, Tiger and Lion Cubs. For the first year, girls participated (and won) in this year’s race! The district’s top three racers: 3rd place – Mad Max driven by Gage O., 2nd place – The Red Sled driven by Andro S., and 1st place – The Goat driven by Ben P. (who also won last year 2017). 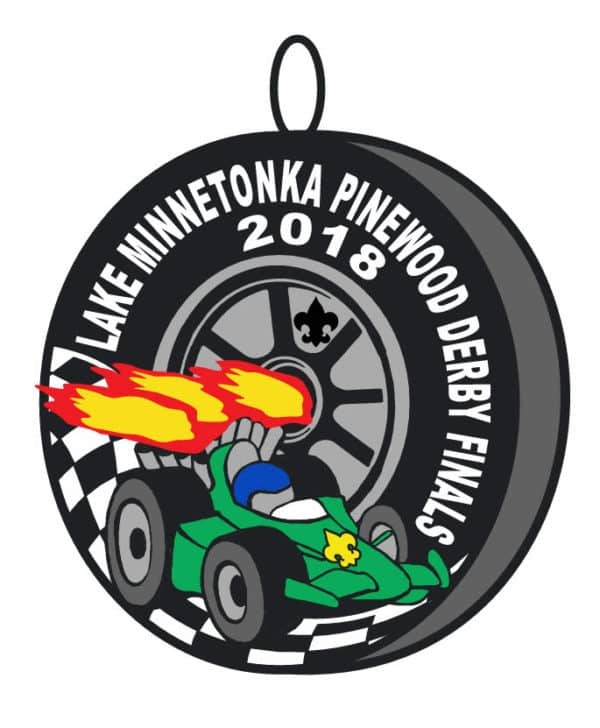 A special thanks goes out to Pack 283 in Wayzata for hosting the derby this year. Without the help of exceptional units like Pack 283, there would not by a district pinewood derby. The top district racers, along with any Scout who would like to participate, may advance to the Council Derby Final at Base Camp on June 2, 2018. The race is open to any Scout! Despite the ‘once in a generation’ blizzard dumping eighteen inches of snow, closing many roads and making for whiteout conditions most of the day, the Cub Scouts from Lake Minnetonka District participated in the District Pinewood Derby Finals at Wayzata Community Church in Wayzata, hosted by Pack 283 from Wayzata. Over 250 pinewood derby enthusiasts turned out for this 4 hour event! . . .